Police searched a mansion in northwestern Turkey belonging to a Saudi citizen on Monday after investigators determined that the man had been in contact with one of the suspects in the slaying of Washington Post journalist Jamal Khashoggi, Turkish officials said. ANKARA, Turkey (AP) — Police searched a mansion in northwestern Turkey belonging to a Saudi citizen on Monday after investigators determined that the man had been in contact with one of the suspects in the slaying of Saudi journalist Jamal Khashoggi, Turkish officials said. 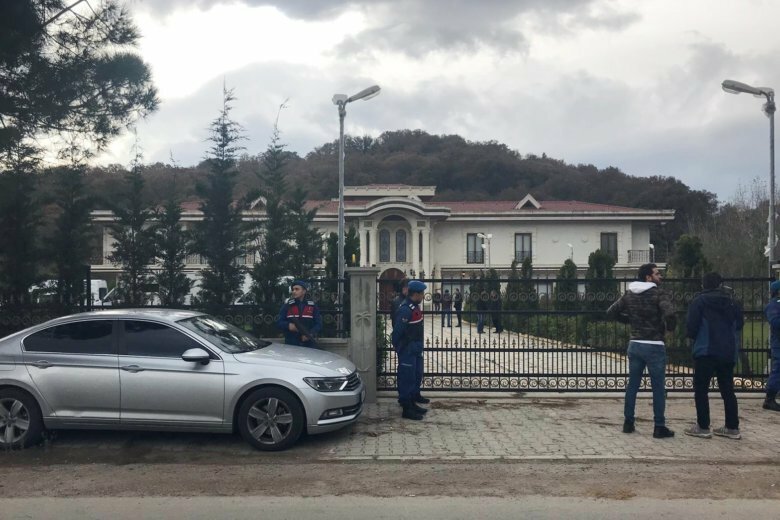 Crime scene investigators and other officials, aided by sniffer dogs and a drone, scoured the luxury villa near the town of Termal, in Yalova province, and later expanded their search to the grounds of the neighboring villa, the state-run Anadolu agency reported. Police spent around 10 hours searching the two villas for the journalist’s remains, Anadolu reported, without saying if any evidence or trace had been found. The Istanbul prosecutor’s office said Mansour Othman Abbahussain — a member of a 15-person squad sent from Riyadh to kill Khashoggi — had contacted the mansion’s owner, Mohammed Ahmed Alfaozan, by telephone a day before Khashoggi’s Oct. 2 killing. “It is being assessed that this conversation was geared toward the disposal (or) the hiding of Jamal Khashoggi’s body after its dismemberment,” the prosecutor’s statement read. It did not mention any possible findings at the site. Turkey has maintained pressure on Saudi Arabia over the killing of the U.S.-based columnist for The Washington Post. Khashoggi was a critic of Saudi Crown Prince Mohammed bin Salman. A 15-member assassination squad sent from Riyadh strangled and dismembered Khashoggi. His remains have yet to be found. Ankara insists the orders for the killing came from the highest levels of the Saudi government, but not King Salman. The Saudi agents blamed for the killing included some members of the crown prince’s security entourage. Saudi Arabia initially said Khashoggi had walked out of the consulate before shifting its account of what happened amid Turkish intelligence leaks. Riyadh is now seeking the death penalty for five members of the hit squad in a move that appeared to be aimed at defusing international outrage over the killing and distancing the operation from the crown prince. Saudi prosecutors maintain that the 15-man team sent to Istanbul exceeded its authority when the lead negotiator in the team decided to kill Khashoggi for refusing orders to return. Anadolu agency, without naming a source, said the owner of the mansion was outside of Turkey at the time of the killing and had not returned in the past two months. The focus of the search was a well on the grounds of the first villa, which was being drained of water with special equipment brought to the scene, the agency reported.